Read latest testimonials and reviews! 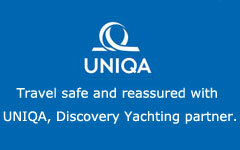 Discovery Yachting maritime yacht charter and consultancy company. Sailing and Motor Yachtcharter in Greece and Greek islands, Corfu, Skiathos, Volos etc.